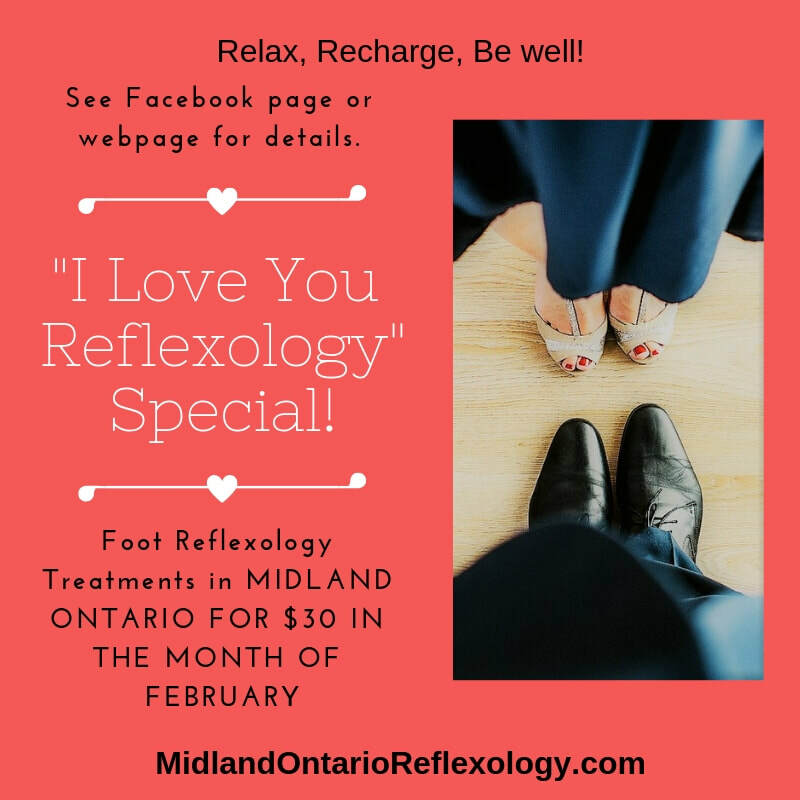 Midland Ontario Reflexology specializes in Foot Reflexology, as taught and regulated by the Reflexology Association of Canada. Your foot Reflexologist presses points on your feet with varying pressure, gauged by the sensitivity in different areas. We use thumbs, fingers and knuckles on the zones on your foot along distinct pathways, using pressure points similar to acupressure. The foot massage treatment leaves the whole body relaxed and ready to heal itself, in a non-invasive and gentle way, that has no adverse side effects. It's a wellness therapy that works beautifully with other healing therapies or sessions you might using. Reflexology relieves pressure and strain, improves circulation problems, and helps the body as a whole to normalize itself naturally. Through the Reflexology Association of Canada, your therapist has studied the anatomy and physiology of the entire body. Our Midland Ontario Reflexology therapist has also studied the therapy through the School of Natural Health Sciences based in the UK. Our office is located in downtown Midland. There is a flight of stairs to access the Reflexology office. If the stairs present a problem, please let reception know before your appointment. The office is a quiet, clean and peaceful space, and your session takes place in a cozy, dimly lit room where you can relax while receiving your treatment. We also provide eye masks to help you relax. Please feel free to bring your own eye mask, or even blankets and pillows if you need them for comfort. We also have many blankets to choose from to keep you warm in winter. 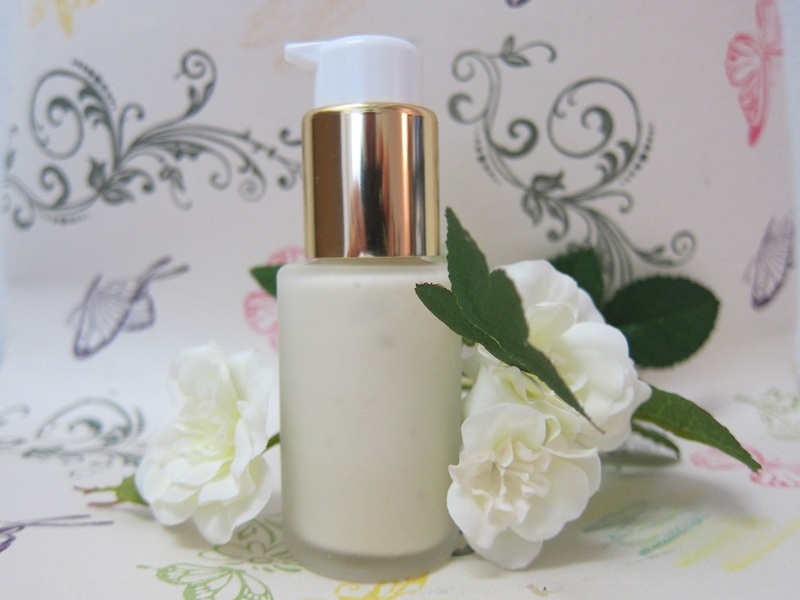 We use natural lotions, oils and cleansing toners in our sessions. Essential oils are also added. If you have allergies to any natural lotion ingredient, please let us know at the time of booking. Air conditioning leaves the room a comfortable place to relax in the summer months, too. Reflexology is a modality that best shows the positive physical effects with regular visits (whether that's once a week, once a month, or once a season.) But even one visit can encourage your body to show some positive results, like better sleep, pain relief, deep relaxation and stress relief. Can't make it that often? We're happy to see you when ever you can pop in for a relaxing session. Our online booking appointment calendar will show you when we have openings, so you can book at your convenience. Are you from out of town and visiting cottage country? We're happy to have you make an appointment while you are here as a tourist visitor, and have some relaxing pampering while you're here in Midland. Put it on your things to do in Midland list! Our rates are the best in town, and we're proud of that! We want Reflexology to be an accessible modality for everyone. It's that time of year again! For the month of February, book a one hour, in office, Foot Reflexology Treatment for ONLY $30. Connect with us for available times and dates. This fills up fast! Midland Ontario Reflexology also offers home or cottage therapy sessions. We bring our reflexology chair, and supplies to set up in your home, on your deck, or in the garden. This allows you to relax in the beauty and sounds of your own home, garden, or beach. If you have more than one person who wants reflexology in the home or cottage, then you both get a discounted price. This is also a great opportunity for people who have mobility issues or illness and cannot leave the house. Home visits are available in the Midland Ontario area. Please contact us for in house visits that are outside this area.